Select the exchange, product and the asof date you wish to conduct the analysis. Then click generate to build plots. The plot will show the contracts by expiry as dots, labeled by expiry. The plot will also show different curve interpolators. The top panel is at the money (atm) volatilities over time to expiry (in year fractions). The bottom panel is the price curve. 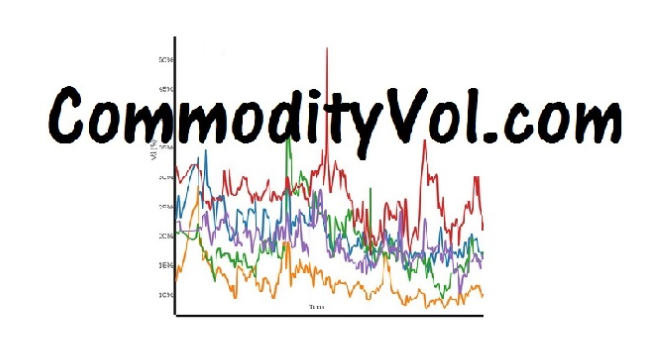 This a plot of the implied volatlity of the option versus time to maturity. The implied volatility is the approximate 100% moneyness. The Y axis is the implied volatlity from either the Black, BaroneAdesi or Bachelier model-it is the approximate 100% moneyness. The X axis is defined as the time to expiry.